Not to be confused with Dmitri Mendeleev. For other people named Dmitry Medvedev, see Dmitry Medvedev (disambiguation). This name uses Eastern Slavic naming customs; the patronymic is Anatolyevichand the family name is Medvedev. 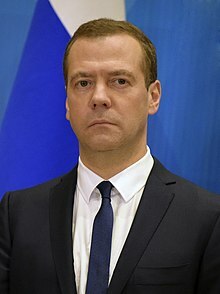 Dmitry Anatolyevich Medvedev ( /mɪdˈvɛdɪf/ ; Russian :Дми́трий Анато́льевич Медве́дев,IPA: [ˈdʲmʲitrʲɪj ɐnɐˈtolʲjɪvʲɪtɕ mʲɪdˈvʲedʲɪf] ; born 14 September 1965) is a Russian politician who has served as the Prime Minister of Russia since 2012. From 2008 to 2012, Medvedev served as the third President of Russia. The Medvedev modernisation programme is an initiative launched by President of Russia Dmitry Medvedev in 2009, which aims at modernising Russia's economy and society, decreasing the country's dependency on oil and gas revenues and creating a diversified economy based on high technology and innovation. The programme is based on the top 5 priorities for the country's technological development: efficient energy use; nuclear technology; information technology; medical technology and pharmaceuticals; and space technology in combination with telecommunications. New START is a nuclear arms reduction treaty between the United States and the Russian Federation with the formal name of Measures for the Further Reduction and Limitation of Strategic Offensive Arms. It was signed on 8 April 2010 in Prague, and, after ratification, entered into force on 5 February 2011. It is expected to last at least until 2021. Pavlovsk Palace is an 18th-century Russian Imperial residence built by the order of Catherine the Great for her son, Grand Duke Paul, in Pavlovsk, within Saint Petersburg. After his death, it became the home of his widow, Maria Feodorovna. The palace and the large English garden surrounding it are now a Russian state museum and public park. The intelligentsia is a status class of educated people engaged in the complex mental labours that critique, guide, and lead in shaping the culture and politics of their society. As a status class, the intelligentsia includes artists, teachers and academics, writers, journalists, and the literary hommes de lettres. Ukrainians are an East Slavic ethnic group native to Ukraine, which is by total population the seventh-largest nation in Europe. The Constitution of Ukraine applies the term 'Ukrainians' to all its citizens. The people of Ukraine have historically been known as "Rusyns (Ruthenians)" and "Cossacks", among others. According to most dictionary definitions, a descriptive name for the "inhabitants of Ukraine" is Ukrainian or Ukrainian people. The Faculty of Law building of Saint Petersburg State University, The place where Medvedev studied and later taught. Facade of the Smolny Institute, meeting place of the City Hall's Committee for Foreign Affairs where Medvedev worked as a consultant. Medvedev with Vladimir Putin on 27 March 2000, a day after Putin's victory in the presidential election. As President, Putin launched a campaign against corrupt oligarchs and economic mismanagement. He appointed Medvedev Chairman of gas company Gazprom's board of directors in 2000 with Alexei Miller. Medvedev put an end to the large-scale tax evasion and asset stripping by the previous corrupt management. Medvedev then served as deputy chair from 2001 to 2002, becoming chair for the second time in June 2002,  a position which he held until his ascension to Presidency in 2008. During Medvedev's tenure, Gazprom's debts were restructured  and the company's market capitalisation grew from $7.8 billion  in 2000 to $300 billion in early 2008. In December 2005 Medvedev was named Person of the Year by Expert magazine, a limited Russian business weekly. He shared the title with Alexey Miller, CEO of Gazprom. Medvedev's election campaign took advantage of Putin's high popularity and his endorsement of Medvedev. Medvedev was elected President of Russia on 2 March 2008. The final election results gave him 70.28% (52,530,712) of votes with a turnout of 69.78% of registered voters. The main contenders, Gennady Zyuganov and Vladimir Zhirinovsky received 17.72% and 9.35% respectively. Three-quarters of Medvedev's vote was Putin's electorate. According to surveys, had Putin and Medvedev both run for president in the same elections, Medvedev would have received 9% of the vote. However, given United Russia's near-total dominance of Russian politics it was given that Medvedev had effectively clinched the presidency when he was nominated as that party's candidate. Medvedev appointed Sergei Naryshkin as the new head of the presidential administration. Last night, Georgian troops committed what amounts to an act of aggression against Russian peacekeepers and the civilian population in South Ossetia ... In accordance with the Constitution and the federal laws, as President of the Russian Federation it is my duty to protect the lives and dignity of Russian citizens wherever they may be. It is these circumstances that dictate the steps we will take now. We will not allow the deaths of our fellow citizens to go unpunished. The perpetrators will receive the punishment they deserve. The Russian popular opinion of the military intervention was broadly positive, not just among the supporters of the government, but across the political spectrum. Medvedev's popularity ratings soared by around 10 percentage points to over 70%,  due to what was seen as his effective handling of the war. Although Putin also had a visible role during the conflict, such as hurrying home from the Beijing Olympics to meet refugees arriving from the conflict zone, it was Medvedev who made the key decisions, authorising the use of force and leading the peace negotiations. In the economic sphere, Medvedev has launched a modernisation programme which aims at modernising Russia's economy and society, decreasing the country's dependency on oil and gas revenues and creating a diversified economy based on high technology and innovation. The programme is based on the top 5 priorities for the country's technological development: efficient energy use; nuclear technology; information technology; medical technology and pharmaceuticals; and space technology in combination with telecommunications. For Medvedev, the modernisation programme has become one of the most ambitious and important agendas of his presidency. I will repeat one simple, but very painful thing. Corruption in our country has become rampant. It has become commonplace and characterises the life of the Russian society. In his first State of the Nation address to the Russian parliament on 5 November 2008,  Medvedev proposed to change the Constitution of Russia in order to increase the terms of the President and State Duma from four to six and five years respectively (see 2008 Amendments to the Constitution of Russia). In response to the largest demonstrations since the end of the Soviet Union – reported in over 60 cities across Russia in early December 2011 in response to widely reported alleged violations in parliamentary elections and the barring of opposition parties from them – President Medvedev has publicly ordered an investigation of fraud reports. Fundamental principles of international law are supreme. The world will be multipolar. Russia will not seek confrontation with other nations. Russia will protect its citizens wherever they are. Russia will develop ties in friendly regions. BRICS leaders in 2012 – Dilma Rousseff, Medvedev, Manmohan Singh, Hu Jintao, and Jacob Zuma. During his first year as Prime Minister, Medvedev has presided over tough legislation against smoking in public places in Russia, increases in prices of alcoholic beverages, and stricter punishment for drunk drivers. On 14 June 2018 Medvedev announces government's intention to increase the retirement age (from 55/60 to 63/65). On 23 June 2011, Medvedev personally uploaded a photograph to Wikimedia Commons. In October 2008, President Medvedev began posting a videoblog at the presidential website. His videoblog posts have also been posted in the official LiveJournal community blog_medvedev  since 21 April 2009 by the Kremlin administration. United Russia is the ruling political party of the Russian Federation. United Russia is the largest party in Russia and as of 2018 it holds 335 of the 450 seats in the State Duma. The 2008 Russian presidential election was held on 2 March 2008, and resulted in the election of Dmitry Medvedev as the third President of Russia. Medvedev was elected for a 4-year term, whose candidacy was supported by incumbent President Vladimir Putin and five political parties, received 71% of the vote, and defeated candidates from the Communist Party of the Russian Federation, the Liberal Democratic Party of Russia and the Democratic Party of Russia. A Just Russia, also translated as Fair Russia or A Fair and Just Russia, is a social-democratic political party in Russia. Mikhail Fradkov's Second Cabinet was the twelfth cabinet of the government of the Russian Federation, preceded by Fradkov's First Cabinet, which followed the cabinet led by Mikhail Kasyanov, who had been dismissed by President Vladimir Putin on February 24, 2004 shortly before the presidential election. It was led by Prime Minister Fradkov, proposed by President Putin for the approval by the State Duma on May 7, 2004, the day Putin entered into his second presidential term. On May 12 Fradkov was approved by the State Duma and appointed Prime Minister by the President. The other 17 ministers of the cabinet were appointed by presidential decrees on May 20, 2004. The prime minister and 16 ministers occupied the same positions in Fradkov's First Cabinet. Only Leonid Reiman assumed the reestablished position of Information Technologies and Telecommunications Minister of Russia. Eight of the ministers took part in Kasyanov's Cabinet, all on the same positions: Yury Chaika, Alexey Gordeyev, German Gref, Sergei Ivanov, Viktor Khristenko, Alexey Kudrin, Leonid Reiman, and Sergei Shoigu. Viktor Alekseyevich Zubkov is a Russian politician and businessman who served as the 36th Prime Minister of Russia from September 2007 to May 2008. He was Vladimir Putin's First Deputy Prime Minister during the presidency of Dmitry Medvedev. The Russian anti-corruption campaign is an ongoing effort by the Russian government to curb corruption, which has been recognized as one of Russia's most serious problems. Central documents in the campaign include the National Anti-Corruption Plan, introduced by President Dmitry Medvedev in 2009, and the National Anti-Corruption Strategy, introduced in 2010. The central organ in the campaign is the Anti-Corruption Council, established in 2008. Medvedev has made fighting corruption one of the top agendas of his presidency. According to Transparency International, Russia's position in the Corruption Perception Index has improved thanks to the anti-corruption campaign. The All-Russia People's Front, known by its Russian initialism ONF, is a political coalition in Russia started in 2011 by then-Prime Minister of Russia Vladimir Putin to provide United Russia with "new ideas, new suggestions and new faces". It is intended to be a formal alliance between the ruling party and numerous Russian nongovernmental organizations. On 12 June 2013, Putin was elected its leader. Natalya Aleksandrovna Timakova is a Russian journalist. As of 2012 she is press attaché to the Russian Prime Minister Dmitry Medvedev. Dmitry Medvedev's First Cabinet was a cabinet of the government of the Russian Federation following the 2012 Russian presidential election that resulted in the election of Vladimir Putin as the fourth President of Russia. The Presidency of Dmitry Medvedev began on 8 May 2008, when he became the 3rd President of the Russian Federation. Medvedev was the Head of the Presidential Administration during the 2nd term of Vladimir Putin as President, and the Chairman of Gazprom oil company. Dmitry Medvedev was the youngest Russian leader since 1918, during his inauguration. The political career of Vladimir Putin concerns the career of Vladimir Putin in politics, including his current tenure as President of Russia. The 2024 Russian presidential election will take place in March 2024. In accordance with electoral law, the first round will be held on Sunday 10 March 2024. If in the first round no candidate attains an absolute majority of the votes, then according to the law a second round will take place exactly three weeks later on 7 April 2024. ↑ First Deputy Prime Minister Dmitry Medvedev Endorsed for the Next President's Post [ dead link ], Voice of Ruddia, 10 December 2007. ↑ Medvedev becomes Russia's PM: Voice of Russia Archived 12 May 2013 at the Wayback Machine . The Voice of Russia (8 May 2012). Retrieved 10 May 2012. ↑ "Transcript interview, First Deputy Chairman of the Government of the Russian Federation Dmitry Medvedev" (in Russian). Government of the Russian Federation. 24 January 2008. Archived from the original on 6 July 2013. Retrieved 26 July 2008. 1 2 3 4 5 6 "Dmitry Medvedev: Biography". Kremlin.ru. 2008. Archived from the original on 25 March 2011. 1 2 3 4 5 6 7 8 9 10 11 12 13 14 15 16 Treisman, Daniel (2011). The Return: Russia's Journey from Gorbachev to Medvedev. Free Press. pp. 123–163. ISBN 978-1-4165-6071-5. ↑ "Ukrainian media interviews President Medvedev". Russia Today. Archived from the original on 18 May 2010. Retrieved 16 May 2010. ↑ Andreyev, Sergey. "Почему Медведев?". Archived from the original on 11 August 2010. 1 2 "Who is Dmitry Medvedev?". Russia Today. 4 March 2008. ↑ Umland, Andreas (11 December 2007). "The Democratic Roots of Putin's Choice". Washington Post. Galina Kozhevnikova and Vladimir Pribylovskii Rossiiskaia vlast' v biografiiakh I: Vysshie dolzhnostnye litsa RF v 2004 g. Stuttgart: ibidem-Verlag, 2007, p. 117. Retrieved 10 May 2008. ↑ Goldmann, Marshall (2008). Petrostate: Putin, Power and the New Russia. Oxford University Press. pp. 141–142. ISBN 978-0-19-534073-0. ↑ "Zubkov replaces Medvedev as Gazprom chairman". The New York Times. 27 June 2008. 1 2 3 4 5 6 Willerton, John (2010). "Semi-presidentialism and the evolving executive". In White, Stephen (ed.). Developments in Russian Politics. 7. Duke University Press. ISBN 9780230224490. ↑ Russia: President's Potential Successor Debuts At Davos. 31 January 2007. 1 2 Дмитрий Медведев выдвинут в президенты России (in Russian). Lenta.Ru. 10 December 2007. Retrieved 30 November 2008. ↑ Treisman, Daniel (2011). The Return: Russia's Journey from Gorbachev to Medvedev. Free Press. pp. 240–261. ISBN 978-1-4165-6071-5. 1 2 3 Sakwa, Richard (2011). The Crisis of Russian Democracy: Dual State, Factionalism and the Medvedev Succession. Cambridge University Press. ISBN 978-0-521-14522-0. ↑ United Russia endorses D Medvedev as candidate for presidency Archived 4 March 2008 at the Wayback Machine ITAR-TASS, 17 December 2007. 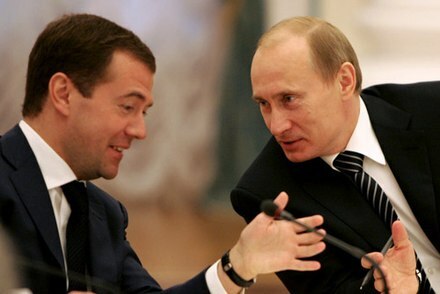 ↑ Medvedev Registers for Russian Presidency, Will Leave Gazprom, Bloomberg, 20 December 2007. ↑ (in Russian) О регистрации Дмитрия Анатольевича Медведева кандидатом на должность Президента Российской Федерации Archived 5 March 2008 at the Wayback Machine , Decision No. 88/688-5 of the Central Election Commission of the Russian Federation, 21 January 2008. ↑ Yuri Levada, The Times, 21 November 2006. ↑ Poll says Putin's protégé more popular than president, Russian News & Information Agency, 27 December 2007. ↑ Putin's Chosen Successor, Medevedev, Starts Campaign (Update2) Archived 16 January 2008 at the Wayback Machine , Bloomberg.com, 11 January 2008. ↑ Medvedev's Strength Is Putin: Poll The Moscow Times, 16 January 2008. ↑ Putin seeks prime minister's post [ dead link ] Associated Press, 17 December 2007. ↑ "Moscow Times". webcache.googleusercontent.com. Archived from the original on 13 August 2008. Retrieved 28 September 2010. ↑ "World | Europe | Profile: Dmitry Medvedev". BBC News. 7 May 2008. Retrieved 28 September 2010. ↑ "New Russian president: I will work with Putin=CNN". Archived from the original on 5 March 2008. Retrieved 3 March 2008. ↑ Putin's successor dismisses fears of state "grab" Archived 21 January 2008 at the Wayback Machine , Reuters, 17 January 2008. ↑ Flintoff, Corey. "Focus Shifts to How Medvedev Will Run Russia". NPR. Retrieved 28 September 2010. ↑ "Europe Offers Congratulations and Criticism to Medvedev". Deutsche Welle. 3 March 2008. Retrieved 13 April 2009. ↑ "ABC Live". Abclive.in. Archived from the original on 27 May 2009. Retrieved 28 September 2010. 1 2 Stott, Michael (7 May 2008). "www.reuters.com, Russia's Medvedev takes power, pledges freedom". Reuters. Retrieved 28 September 2010. ↑ "Prime Minister Putin appoints new government – 2". RIA Novosti. 12 May 2008. ↑ "All the Next President's Men". Russia Profile. 19 December 2007. Archived from the original on 4 August 2011. ↑ "EU report, volume II" (PDF). Independent International Fact-Finding Mission on the Conflict in Georgia. 30 September 2009. Archived from the original (PDF) on 6 July 2011. Retrieved 30 September 2009. ↑ Nicoll, Alexander; Sarah Johnstone (September 2008). "Russia's rapid reaction". International Institute for Strategic Studies. Archived from the original on 21 October 2008. Retrieved 9 December 2009. ↑ Lavrov, Anton (2010). Ruslan Pukhov (ed.). The Tanks of August. Centre for Analysis of Strategies and Technologies. p. 49. ISBN 978-5-9902320-1-3. 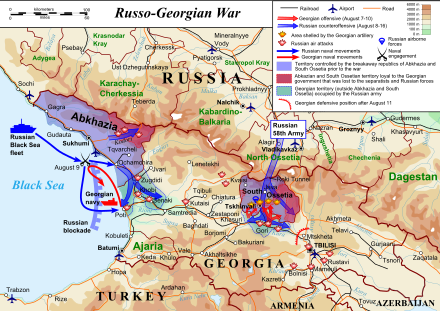 ↑ Statement on the Situation in South Ossetia Archived 16 October 2011 at the Wayback Machine Website of the President of Russia, 8 August 2008. ↑ "Georgia 'started unjustified war'". BBC News . 30 September 2009. ↑ "EU Report: Independent Experts Blame Georgia for South Ossetia War". Der Spiegel . 21 September 2009. 1 2 Guriev, Sergei; Tsyvinski, Aleh (2010). "Challenges Facing the Russian Economy after the Crisis". In Anders Åslund; Sergei Guriev; Andrew C. Kuchins (eds.). Russia After the Global Economic Crisis. Peterson Institute for International Economics; Centre for Strategic and International Studies; New Economic School. pp. 9–39. ISBN 978-0-88132-497-6. ↑ "President's performance in office — Trends". Levada Center. May 2011. ↑ Treisman, Daniel (2010). "Russian Politics in a Time of Turmoil". In Anders Åslund; Sergei Guriev; Andrew C. Kuchins (eds.). Russia After the Global Economic Crisis. Peterson Institute for International Economics; Centre for Strategic and International Studies; New Economic School. pp. 39–59. ISBN 978-0-88132-497-6. ↑ "Dmitry Medvedev's three years in office: achievements, results and influence". RIA Novosti. 11 May 2011. ↑ "Russia Profile Weekly Experts Panel: 2009 – Russia's Year in Review". Russia Profile. 31 December 2009. Archived from the original on 19 January 2011. ↑ Dyomkin, Denis (2010). "Russia tells regions to join privatization drive". Reuters. ↑ "Russia Profile Weekly Experts Panel: Medvedev's Quest for Innovation". Russia Profile. 5 June 2009. Archived from the original on 11 August 2010. Retrieved 30 June 2009. ↑ "Medvedev says giant state corporations to go private". RIA Novosti. 5 June 2009. Retrieved 30 June 2009. ↑ "Ъ-Online – Генпрокуратура приступила к проверке госкорпораций". Kommersant.ru. Archived from the original on 10 June 2011. Retrieved 28 September 2010. ↑ "Medvedev orders look at activity of Russian state-run businesses | Russia | RIA Novosti". En.rian.ru. Retrieved 28 September 2010. ↑ "Russia Profile Weekly Experts Panel: Will Police Reform Result in Name Change Only?". Russia Profile. 27 August 2010. Archived from the original on 11 July 2011. ↑ "Medvedev submits draft police law to Russian lower house". RIA Novosti. 27 October 2010. Archived from the original on 7 October 2011. ↑ "Medvedev signs police reform bill into law". RIA Novosti. 7 February 2011. ↑ "Will Russian police reforms be more than a name change?". RIA Novosti. 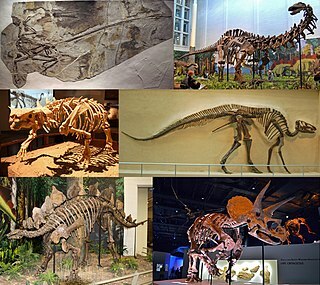 18 March 2011. ↑ "Russia's rebranded police initiated with major layoffs". Russia Today. 1 March 2011. ↑ "Russia to spend around $7 billion on police reform in 2012–2013". RIA Novosti. 9 September 2010. Archived from the original on 7 October 2011. ↑ National Anti-Corruption Plan Archived 16 October 2011 at the Wayback Machine Website of the President of Russia, 31 July 2008. 1 2 Nikolaus von Twickel (16 April 2010). "Medvedev Redefines Anti-Corruption Drive". The Moscow Times. ↑ National Anti-Corruption Strategy (Approved by Decree of the President of the Russian Federation №460 of 13 April 2010) Website of the President of Russia. ↑ Itar Tass, "Pres to launch education modernization project in few days"
↑ "Medvedev vetoes law restricting protests: Kremlin | Russian News | Expatica Moscow". 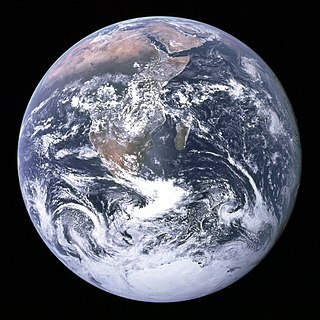 www.expatica.com. Retrieved 2 September 2015. 1 2 Steve Rosenberg (24 November 2010). "Medvedev warns of political 'stagnation' in Russia". BBC. Retrieved 19 February 2011. ↑ "Full text in English". Kremlin.ru. Archived from the original on 31 August 2009. Retrieved 28 September 2010. ↑ Andrew Osborn. Medvedev Creates History Commission, Wall Street Journal , 21 May 2009. ↑ "St. Petersburg Times". Times.spb.ru. 18 September 2009. Retrieved 28 September 2010. ↑ "No change to method of appointing regional governors – Medvedev | Valdai Club | RIA Novosti". En.rian.ru. 15 September 2009. Retrieved 28 September 2010. 1 2 "How the Duma electoral system works". Levada Center. ↑ "Burger Time for President's Obama and Medvedev". YouTube.com. The Associated Press, USA. 25 June 2010. Retrieved 8 April 2017. ↑ "Burger Time for President's Obama and Medvedev". YouTube.com. Russia Today. 25 June 2010. Retrieved 8 April 2017. ↑ "Burger Time for President's Obama and Medvedev". Russia Today. 25 June 2010. Retrieved 8 April 2017. ↑ "The Obamas and The Medvedevs Dine Together". YouTube.com. WestEndNews. 13 November 2012. Retrieved 8 April 2017. ↑ Russia recognises Georgian rebels, BBC, 26 August 2008. Retrieved 27 August 2008. ↑ Russia faces fresh condemnation, BBC, 27 August 2008. Retrieved 29 August 2008. ↑ "Medvedev outlines five main points of future foreign policy". En.rian.ru. Retrieved 24 December 2008. ↑ Steve Gutterman and Vladimir Isachenkov. Medvedev: Russia to deploy missiles near Poland [ dead link ], Associated Press, 5 November 2008. ↑ Russia never placed Iskander missiles in Kaliningrad – Navy chief, RIA Novosti , 1 October 2009. ↑ "Russia's 2008 war with Georgia prevented NATO growth – Medvedev." RIA Novosti, 21 November 2011. ↑ "The president on dealing with Russia". The Economist. 2 August 2014. 1 2 Osborn, Andrew (7 March 2010). "Dmitry Medvedev's Russia still feels the cold hand of Vladimir Putin, Telegraph". The Daily Telegraph. UK. Retrieved 28 September 2010. ↑ "Medvedev insists he's the boss". Television New Zealand . 30 March 2009. Archived from the original on 19 September 2011. Retrieved 28 September 2011. ↑ "Russia 'to work with Nato on missile defence shield'". BBC News . 20 November 2010. Retrieved 19 February 2011. ↑ Ostalski, Andrei (15 December 2010). "Russia's most important court trial". BBC News . Retrieved 19 February 2011. ↑ Osborn, Andrew (24 September 2011). "Vladimir Putin on course to be Russia's next president as Dmitry Medvedev steps aside". The Daily Telegraph . Retrieved 25 September 2011. ↑ "Medvedev backs Putin for Russian president". RIA Novosti. 24 September 2011. Retrieved 25 September 2011. ↑ "Russia's Putin set to return as president in 2012". BBC News . 24 September 2011. Retrieved 25 September 2011. ↑ "Церковь одобрила решение Путина вернуться на пост президента России". Gazeta.ru. 24 September 2011. Retrieved 24 September 2011. ↑ "Russia's Medvedev tries to appease protesters". Archived from the original on 12 January 2012. Retrieved 22 December 2011. ↑ (in Russian) "Putin signs first decree as president", Itar Tass, 7 May 2012 Archived 14 June 2013 at the Wayback Machine . Itar-tass.com. Retrieved 10 May 2012. ↑ Putin hands Medvedev prime minister role amidst sustained unrest. The Globe and Mail (8 May 2012). Retrieved 10 May 2012. ↑ Medvedev becomes Russia's PM: Voice of Russia Archived 12 May 2013 at the Wayback Machine Retrieved 10 May 2012. ↑ "Госдума согласилась на назначение Медведева главой правительства РФ". Интерфакс (in Russian). Retrieved 8 May 2018. ↑ "Указ "О структуре федеральных органов исполнительной власти"". Kremlin.ru (in Russian). Retrieved 15 May 2018. ↑ "Президент подписал указы о составе нового Правительства". Kremlin.ru (in Russian). Retrieved 18 May 2018. 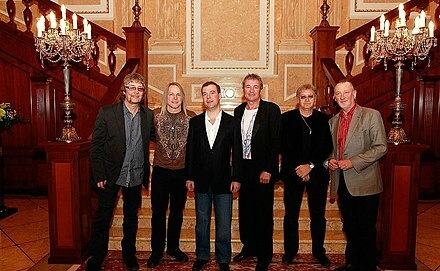 ↑ Medvedev Will Run Russia to Tune of Hard-Rock Band Deep Purple Archived 8 September 2008 at the Wayback Machine . Retrieved 8 March 2008. ↑ "Russian President Dmitry Medvedev awarded by the Serbian Orthodox Church: Department for External Church Relations of the Russian Orthodox Church". Mospat. 21 October 2009. Retrieved 28 September 2010. ↑ "Russian President Harry Potter fan, asks for Rowling's autograph". Mosnews. Archived from the original on 26 May 2010. Retrieved 28 September 2010. 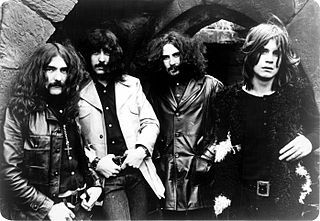 ↑ Nicholas II, FC Zenit, Black Sabbath – Medvedev's favorite things Archived 4 March 2008 at the Wayback Machine , ITAR-TASS, 11 December 2007. ↑ "Снимок Медведева стал четвертым в списке самых дорогих фотографий мира". Lenta. Retrieved 28 September 2010. ↑ "Он вам не Димон". YouTube. ↑ Diehl, Jackson (19 March 2017). "For this Russian dissident, holding Putin accountable was almost deadly — twice". Washington Post . ↑ A Soft-Spoken, 'Smart-Kid' Lawyer Archived 22 November 2008 at the Wayback Machine , The Moscow Times, 2 November 2007. ↑ (in Russian) Дмитрий Медведев: учите олбанский!, Lenta.ru, 5 March 2007. ↑ (in Russian) Превед, Медвед, Polit.ru, 18 December 2007. ↑ Medvedev palatable to Russian liberals and western states, Financial Times, 11 December 2007. ↑ "Medvedev speaks English / Медведев говорит на английском". YouTube. Retrieved 21 July 2017. ↑ "Medvedev shows media-savvy side". BBC. 29 March 2008. Retrieved 31 March 2009. ↑ (in English) "Medvedev signs landmark anti-corruption law". sputniknews.com. Retrieved 5 April 2017. ↑ (in English) "Medvedev: Poverty and corruption are Russia's challenges". Russia Today on youtube.com. Retrieved 5 April 2017. ↑ (in English) "The Yellow Rubber Duck Is a Potent Protest Symbol". Bloomberg. Retrieved 5 April 2017. ↑ (in English) "Medvedev forgets cares of office at £350m estate on the Volga". The Times UK. Retrieved 5 April 2017. ↑ (in English) "The dacha of my dreams". Finantial Times. Retrieved 5 April 2017. ↑ (in Swedish) "Ny anklagelse från Aleksej Navalnyj: "Premiärminister Medvedev inblandad i korruption"". Yle Nyheter. Retrieved 5 April 2017. ↑ (in Russian) "Он вам не Димон". Alexei Navalny on YouTube. Retrieved 5 April 2017. ↑ "Corruption claims 'nonsense' - Russian PM Medvedev". 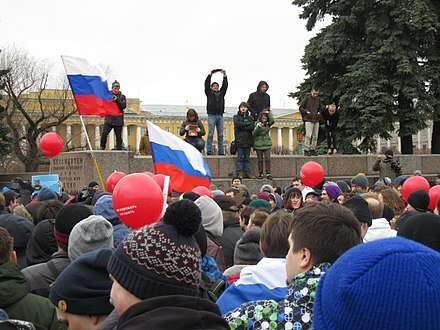 ↑ (in English) "Russia protests: Opposition leader Navalny and hundreds of others held". BBC Nred. Retrieved 27 March 2017. ↑ "Russian Polls Do Mean Something After All". Bloomberg. 26 April 2017. ↑ (in Russian) Законы РФ / Федеральный закон от 27 июля 2004 г. N 79-ФЗ "О государственной гражданской службе Российской Федерации" (с изменениями от 2 февраля 2006 г., 2 марта, 12 апреля, 1 декабря 2007 г.) Archived 4 February 2008 at the Wayback Machine , Garant Database of Laws with Commentary. ↑ "Видеоблог Президента России". Kremlin.ru. Retrieved 12 January 2009. ↑ "Медведев запустил проект, открывающий доступ к фотоархиву РИА Новости". RIA Novosti. 23 June 2011. Retrieved 30 June 2011. ↑ "RIA Novosti celebrates 70th anniversary, uploads 100 images to Wikimedia Commons". WikiNews. 23 June 2011. Retrieved 30 June 2011. ↑ Muratov, Dmitry (15 April 2009). "Декларация Медведева. Год 2009 (Interview with Dmitri Medvedev)". Novaya Gazeta N39 (in Russian). Archived from the original on 16 April 2009. Retrieved 15 April 2009. Photo book: Medvedev, Dmitry (2012). President Dmitry Medvedev. Black, J. L. (2015). The Russian Presidency of Dmitry Medvedev, 2008–2012: The next step forward or merely a time out?. Routledge. Svanidze, Nikolai; Svanidze, Marina (2008). Medvedev. Saint Petersburg: Amfora. ISBN 978-5-367-00743-5. Sakwa, Richard (2011). The Crisis of Russian Democracy: Dual State, Factionalism and the Medvedev Succession. Cambridge University Press. ISBN 978-0-521-14522-0. White, Stephen, ed. (2010). Developments in Russian Politics 7. New York: Palgrave McMillan. ISBN 978-0-230-22449-0. Wikimedia Commons has media related to Dmitry Medvedev .